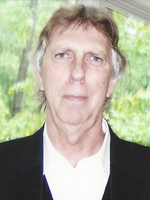 Clifford “Pete” K. Montgomery, born November 25, 1943, passed away on Saturday, March 30, 2019. He retired from Mueller Martini Manufacturing after 20 years. Pete loved riding his motorcycle, fishing, going to races and spending time with his family and friends. Pete was preceded in death bu his parents, Michael and Dollie Montgomery. Left to cherish his memory are his wife of 38 years, Lana; his daughter, Laura Horrell (Joseph); his sons, Clifford Montgomery, Jr., Chris Montgomery and Michael Montgomery; two grandchildren, Amanda Jochens (Jason) and Bailey Montgomery; niece, Elizabeth Alkaren. The family will receive friends from 12:00 – 1:00 pm on Saturday, April 6, 2019 at Open Door Baptist Church, 14 Deep Creek Rd., Newport News, VA 23606. Funeral Services will begin at 1:00 pm at the church by Rev. Ray Sloan. Arrangements by Weymouth Funeral Home.